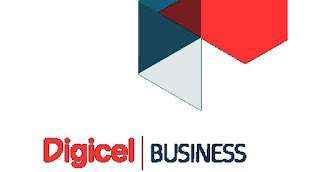 THE mobile gambling services provided by Digicel comply with the licence terms and conditions of the National Gaming Control Board, according to the board’s chief executive officer Imelda Agon. She was responding to questions from The National on transparency issues surrounding Digicel’s SMS Games. “Digicel PNG Limited is compliant with the terms of and conditions set out under the provisional licence granted by the board of the National Gaming Control Board,” Agon said. “Winners from the weekly and monthly prizes are notified by Digicel and evidence of the collection of prizes are provided to NGCB. “However, due to the substantial amount of prize monies concerned, most winners have the right to privacy of their identities for security reasons. She said NGCB had been working on establishing the relevant legislations to effectively regulate all forms of gaming. “NGCB does take into consideration the views of the public and further incorporates these concerns when addressing all gaming licence matters,” she said. The Independent Consumer and Competition Commission commissioner Paulus Ain last month raised concern over how Digicel SMS Games could infringe on consumer rights. Ain said the commission had looked into gambling service previously and would do so again this year. Any gambling in any setting must be licensed by the Gaming Control Board. “Several times, we have handled concerns on this and said: Look, you are not entitled to do this as this is gambling. And you only should be providing call services or internet services and what is prescribed under your (NICTA) licence,” he said.